I love my kids, and the moments I have with them, and it's kind of weird, it's such an age old cliche, but the way that my sons, the way they make me feel when I look at them, the way they say things, no one else would probably react to them, but it's a special thing for me. I heard Q-Tip on the Jungle Brothers' song 'The Promo.' It was very exciting. It was very new. The music and the culture around hip-hop was evolving. I think there's an emotional quality to their music and there's a vulnerability to the music. For me, A Tribe Called Quest was my Beatles. Listen, I'm 41 years old. I've got two kids. I've got a career. The last thing I need to be doing is having a beef with A Tribe Called Quest. It's silly and it was unnecessary. It ain't the first time that a director hasn't seen eye to eye with a subject and it ain't going to be the last time. I would love to document the Roots; I think they have an interesting story. I have a curiosity about them. Their musicality and their live performances I think would be great, and I have a feeling that there are stories behind each one of them. I don't think the subject of a documentary film should be producers on it. New Updates! (4/22/2019) We've been working really hard on completing our membership system so you can submit quotes and keep track of them. Once this is complete in the coming weeks there will be a lot more quotes by Michael Rapaport and other authors. 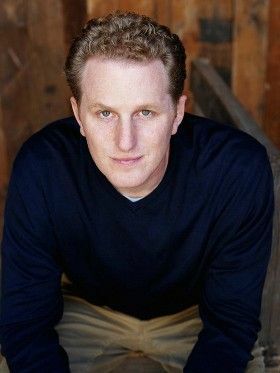 We've also changed the sorting on the site so you now see the latest Michael Rapaport quotes first. Our goal is to have the best Michael Rapaport quotes on the web!